We hold two major fundraising opportunities every year - Rummage Sales and FCA Style - as well as a general fundraiser once per year that varies from year-to-year. This year's general fundraiser is the SaveAround coupon book. Students are selling these books for $25 per book and FCA receives 50% of the total sales. The coupons are good until December 2018 and you can purchase books for cities all over the United States. Contact FCA if you are interested in purchasing a book! At least twice per year we have a large rummage sale. People in southwest Tucson have a chance to shop for hidden treasures. It is a wonderful time of fellowship and a chance to meet people in our community. 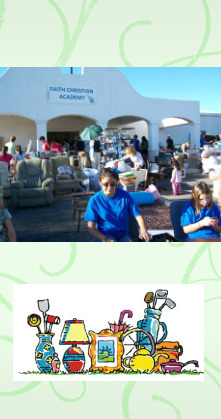 Please check our "Calendar of Events" to see when the next scheduled rummage sale is to take place. It is something you don't want to miss! 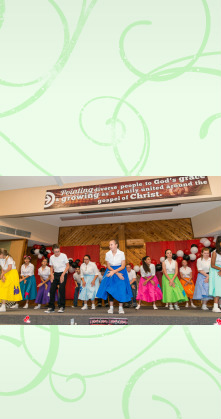 Each April, FCA holds a themed evening of food, entertainment, raffles and silent auctions. This event is manned by our students who provide food service as well as the entertainment. 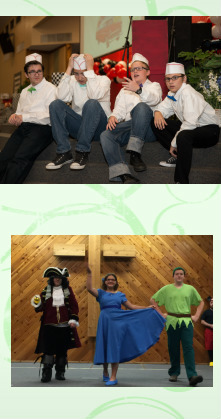 Past themes have been "Disney - FCA Style" and "A Salute to America - FCA Style" and "The 1950's - FCA Style". Although the themes change from year to year, the focus is always God and how he works in our lives. Members of the community are welcome to purchase tickets and attend this event. Please check our "Calendar of Events" to see when this year's "FCA Style" is scheduled and put it on your calendar now! It is an experience you won't want to miss and won't soon forget!